There is nothing, I mean NOTHING better for breakfast than properly scrambled eggs, Ramsay style. We are clearly huge food fanatics, and we love Gordon Ramsay. I remember seeing him make these eggs on youtube a few years ago and I kept telling myself I was going to make them. Then, when we saw them appear on MasterChef again a few weeks ago, I immediately sprung off the couch and got the motivation to make the dish.. and they came out INCREDINBLE. 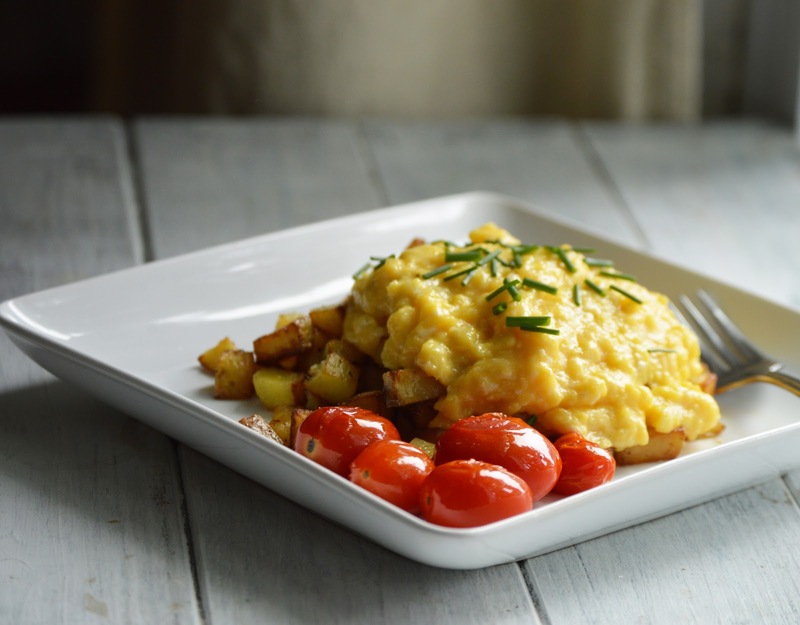 I've made them a few times in the past few weeks, and my husband (another food snob) agreed, they were the best scrambled eggs he has ever had. 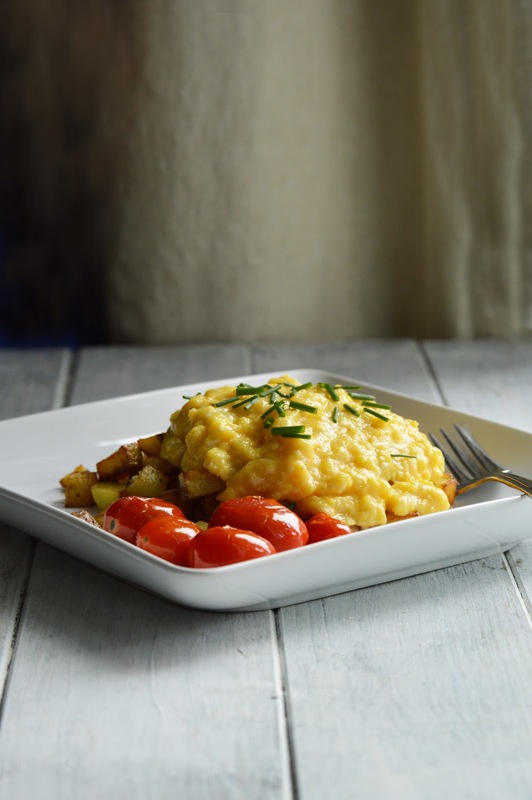 He does make similar, french-style eggs, Julia Child style that come out very very similar, but they're a lot more time conusming and the process is very different. I like Gordon's recipe because although it's very technical and not super easy to perfect, it's a lot faster than the French method. This one takes practice, you'll get it! 1. Break eggs into a cold pan with the butter. 2. Stir over medium heat until the eggs start to cook. 3. Remove from heat and continue stirring for about 30 seconds. 4. Return to heat, continue to stir until they star to clump. 5. Remove from heat, and add seasoning and creme fraiche or ricotta. 6. Continue to stir until combined.